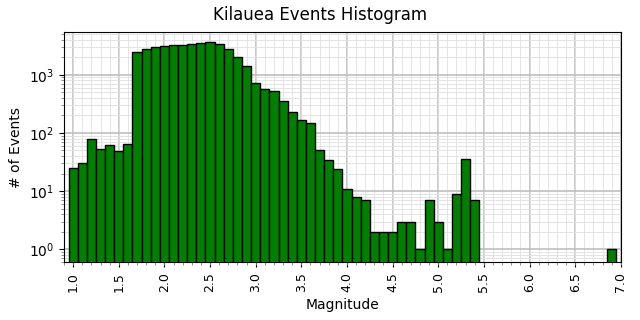 Histogram of all events in the dataset broken into 1km depth bins. Note the vertical axis is log scale! 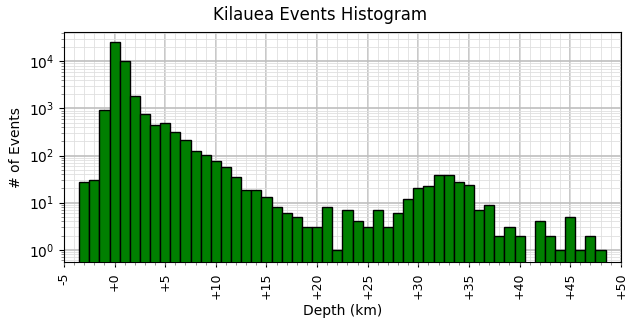 (So 100=1, 101=10, 102=100…) Also, negative depths are above sea level. 2018 ~60 ~500 50–150 Total WAG! Includes M1.0+ events from January 1 to current.